(Newser) – As awful as this week's fatal bank shooting in Florida was, it nearly was worse: A bank employee escaped the massacre that killed five women at a SunTrust branch by running out a back door when the gunfire began, according to a sheriff's office. The employee was in a back break room when the attack began in the Sebring bank, Highlands County Sheriff's Office spokesman Scott Dressel said Friday. "Upon hearing the shots, the employee ran out a back door and contacted law enforcement," Dressel told the AP. No additional information about the employee was released. Four SunTrust employees and a customer were killed in the bank's lobby. 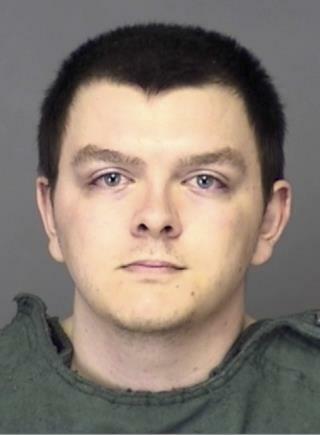 Zephen Xaver, 21, was arrested after a standoff with police and now faces five counts of premeditated murder. State Attorney Brian Haas has said it is likely that he will seek the death penalty. An ex-girlfriend says Xaver was fascinated with death. Good, now he will be able to check that 'fascination' off of his bucket list because he will be experiencing it first hand in a few years. Why didn't he just commit suicide and not kill innocent hard working people? >> Florida Bank Shooting Was Almost Even Worse Almost 20% worse.